Members of Concordia’s theatre program delivered engaging, heart-wrenching, captivating performances as the department’s One-Act Play Festival brought four plays to life from Nov. 3 through 11. 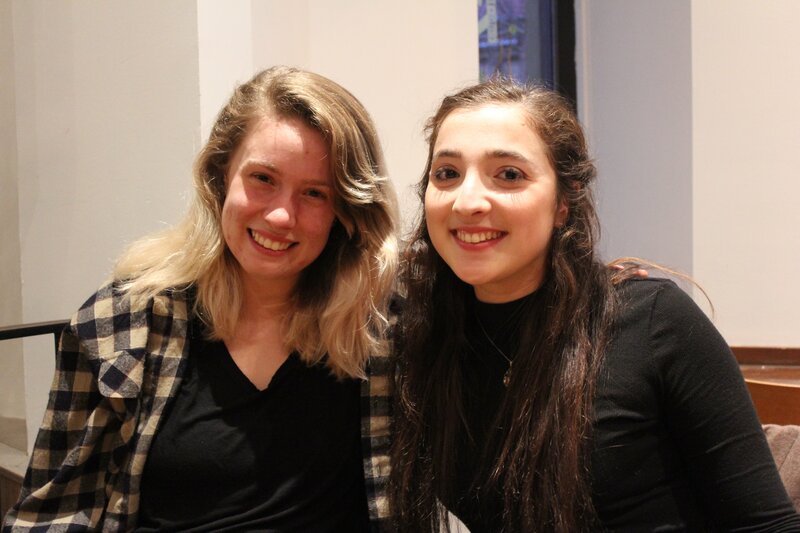 The theatre department’s second edition of the festival featured well-known contemporary Canadian and absurdist work, as well as pieces constructed by the students themselves. Students across the entire program took part in productions of Beckett Shorts, If We Were Birds, The Freddie Stories and Love In Seven Languages. They applied to be in the festival at the end of last year’s winter term, were assigned to one of the four plays and auditioned for specific roles. From there, workshops and rehearsals were held up until opening day. The One-Act Play Festival is a public performance project (known as a PPP in the theatre department). PPPs give students the option to take part in projects to gain experience and academic credits. The spoken aspects of the performances conveyed raw human emotion while leaving the viewer to puzzle over what exactly they had witnessed. Short, sporadic outbursts paired with prolonged silences created an engaging and at times unsettling experience. This is a key characteristic of Beckett’s work. In the show’s program, director Clea Minaker wrote that “to step inside of any one of these ‘Beckettian’ compositions [is] also to submit oneself to an ‘authored’ body.” In Beckett Shorts, the cast and crew surrendered themselves to expression in absurdity. Like Beckett Shorts, If We Were Birds stuck quite closely to the original play (written by Erin Shields). The piece, however, would definitely be described as more conventional theatre, as Johan DeNora, a third-year theatre performance student pointed out. If We Were Birds deals with extremely brutal and intense subject matter, and viewers were warned about scenes of infanticide, misogyny and sexual violence. When asked if performing such subject matter seemed daunting or intimidating, fifth-year theatre performance student Arianna Markle said she was actually empowered by being able to tell the story. “For me it was, ‘I want to be that voice,’” she said. “There are the experiences of so many women standing behind me, beside me, with me and through me [in this role]. It’s humbling for sure.” Markle added that she finds the play to be especially relevant due to the recent increase in discussion about cases of sexual violence. Maureen Adelson, a second-year acting student, initially found it hard to approach her role as Bleeding, because she has “never gone through anything as traumatic and as tragic” as what her character endures in the piece. After doing some research on the historic events that the character was based off of, however, Adelson said her mindset changed and she became determined to tell her character’s story. The Freddie Stories was adapted from a graphic novel by Lynda Barry and converted into a theatre piece by the ensemble and crew. Also directed by Minaker, the play follows a young boy named Freddie who struggles with mental disabilities. It takes the audience through the boy’s daily life, revealing that he gets bullied by classmates and abused by his mother. This piece effectively deals with intense themes while presenting a lightheartedness that could only be expressed through young characters. Emma Corber, a fourth-year theatre major, said that because her group started without a set script, they spent most of their rehearsal time in workshops determining how to convert the novel into a theatre piece. Though at times the process was rushed and stressful, Corber insisted this experience allowed her to grow as a performer in ways she had never been able to in previous productions. The piece incorporates puppetry and mask work, which were new disciplines for most of the cast, she added. Caitlin Stever, a third-year theatre and development student, was immediately interested in The Freddie Stories and was tasked with the job of stage manager. “Talking about childhood trauma through the lens of childhood is super interesting to me,” she said. Stever found the entire adaptation process extremely challenging, but was also able to exercise her creative abilities to a great degree. “A hundred per cent of my energy, and my whole human force and thought and emotion have been put into this show because of that collaborative process that demanded so much of me, and I’d say a lot of the actors felt that same way,” Stever said. Sketches of the costume designs for Love In Seven Languages by Aurora Torok. Photo by Mackenzie Lad. The ensemble of Love In Seven Languages were also very involved in the creation of the piece, from writing the script to developing its overarching themes. Preliminary workshops were held where the students would brainstorm ideas together and develop their collective vision for the play. “Most of our lines [in the piece], someone said at some point in a writing exercise,” according to third-year theatre and development student Eli Gale. “It’s a little spooky.” Gale said being so involved in the creative process allowed each performer to feel especially connected to the part they play. “When you’re acting in a character that is so close to your own reality, how do you separate what is and what isn’t there?” she asked. This piece was not advised for viewers under the age of 18 because of mature content and mentions of suicide. The story follows seven royal siblings who are locked in a room of their father’s castle and are never allowed to leave. When they become of-age, the siblings are told they will be married off one by one, which causes them to consider drastic measures in order to escape.